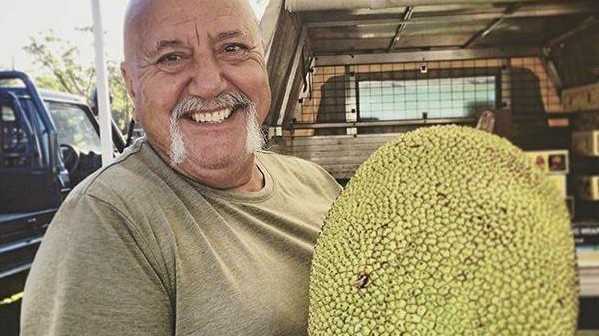 This huge, spiky tropical fruit common in South-East Asia is becoming increasingly popular in Australia. It's a versatile fruit that can be used ripe or green with very different results. Ripe it's very sweet and has a flavour that's something like pineapple, banana and mango. When green, its neutral flavour and meaty texture make it perfect for savoury vegan dishes, the most popular of which is vegan pulled pork. Cooked with barbecue spices and sauce and then served on a burger or in tacos, the flavour and texture is so like pulled pork it's been known to fool even dedicated carnivores. Look for jackfruit at the Picone Exotics stall at New Brighton and Mullumbimby Farmers Market and Jungle Juice at Mullum. This highly nutritious leafy green is at its best during the cooler months and there should be a good supply from now on. There are three main varieties to look out for, each with a slightly different taste and texture, so it's worth trying them all to find out what you prefer. Cavolo Nero is the dark-green type with slender, rumpled leaves and is good in soups and stews, Curly Kale is the one with frilly edges that's best for kale chips or in salad, and Red Russian is a sweeter, more tender variety that's good in salads or pasta. Find kale at Summit Organics (New Brighton/ Mullum), Organic Forrest (Mullum), The Salad Hut (New Brighton/Mullum) and Everest Farms (New Brighton/Mullum). The first of the citrus is arriving, with plenty of local limes being picked for the markets. Their fresh zing can make all the difference to a meal and they're great with seafood, desserts and drinks. Fresh limes are now available from Rancho Limes at New Brighton, Jumping Red Ant (New Brighton/ Mullum), and The Salad Hut (New Brighton/Mullum), where you'll also find kaffir limes and kaffir lime leaves. Also in season: apples, bananas, carrots, cucumbers, capsicum, dragonfruit, green beans, garlic, persimmon, sweet corn and zucchini.